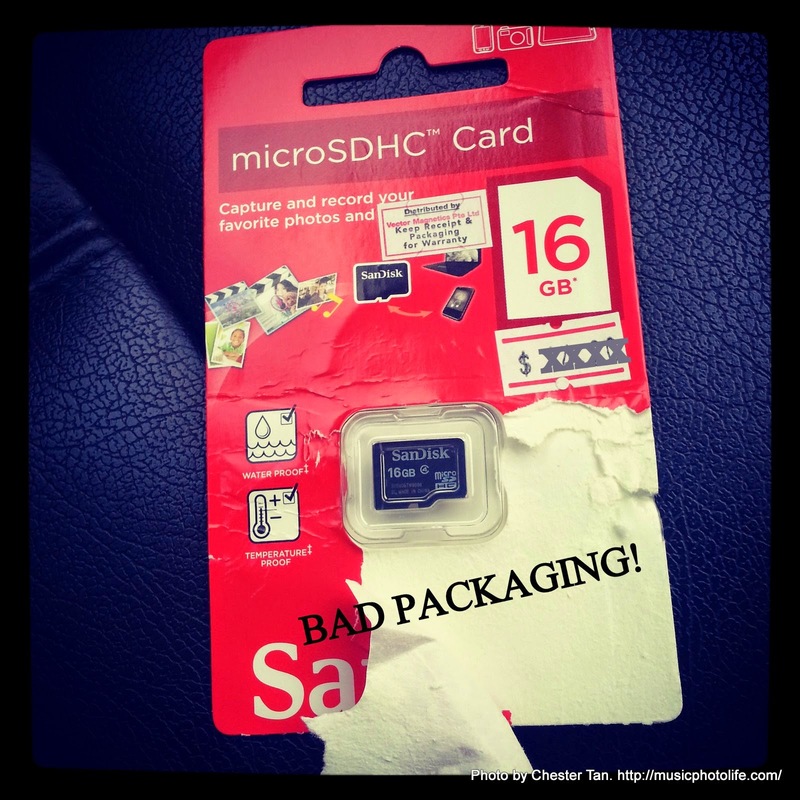 Should you get a USB flash drive or an SD card or a microSD card? How about getting one storage card that comes with all 3? I received a unit from Strontium who requested me to write a review. 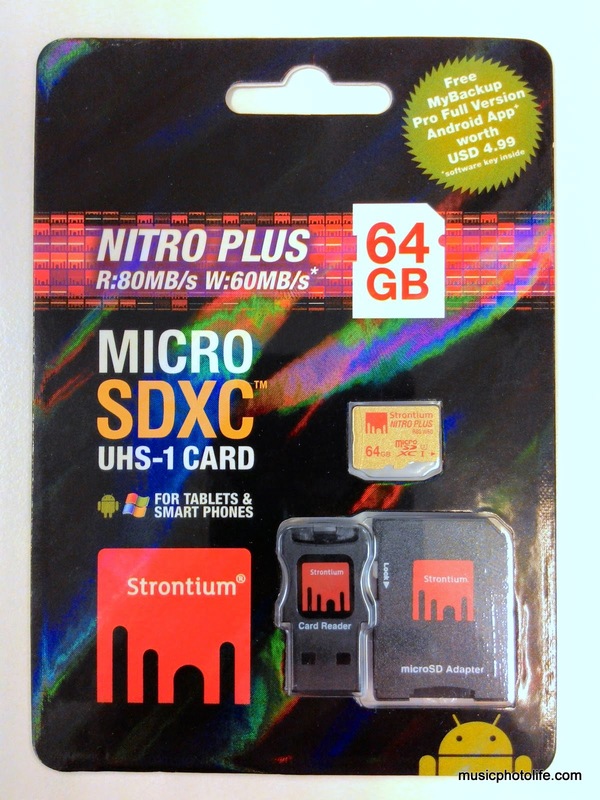 Strontium Nitro Plus 64GB MicroSDXC card is rated as UHS-I Speed Class 3 (U3), with a read speed of 80MB/s and write speed of 60MB/s. If you do plenty of 4K and Ultra-HD video capture, you need a really fast card. Does this Strontium card perform as claimed? Opening the packaging is so easy thanks to perforated lines. This beats the packaging of some other brand. Oddly, I was unable to insert the microSD card into the USB card reader. Upon comparing with my existing cards, I found that in general, larger capacity microSD cards are slightly thicker than lower capacity ones. Strontium needs to give a little more allowance on their USB card reader to cater for this. 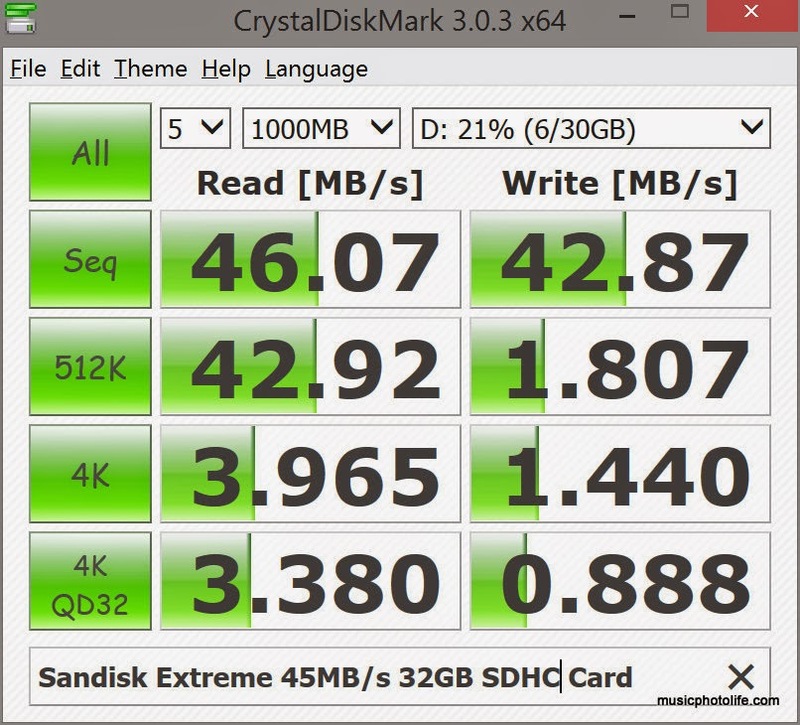 No matter, I benchmarked the card using the SD card adapter on a Dell XPS 11laptop running Windows 8.1 over CrystalDiskMark. In comparison, I tested my 2 high-speed memory cards and here's what I got. 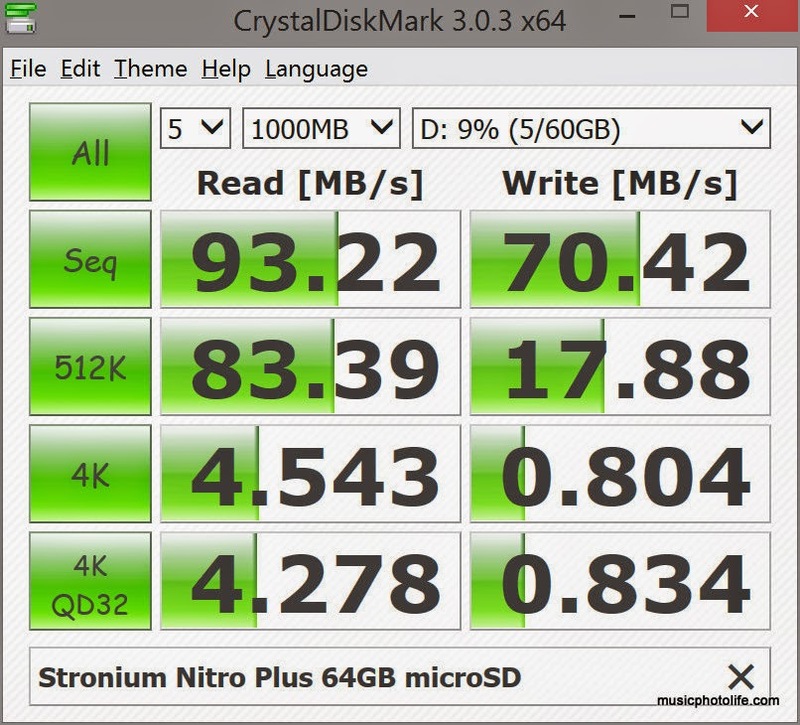 The benchmark says it all: The Strontium Nitro Plus are blazing fast!!! When writing large sequential files, the Strontium performs above the advertised spec. All 3 cards slow down significantly when do random writing in smaller sizes. This shows that the memory card works best when reading or saving huge file sizes. But how does it work in real life? 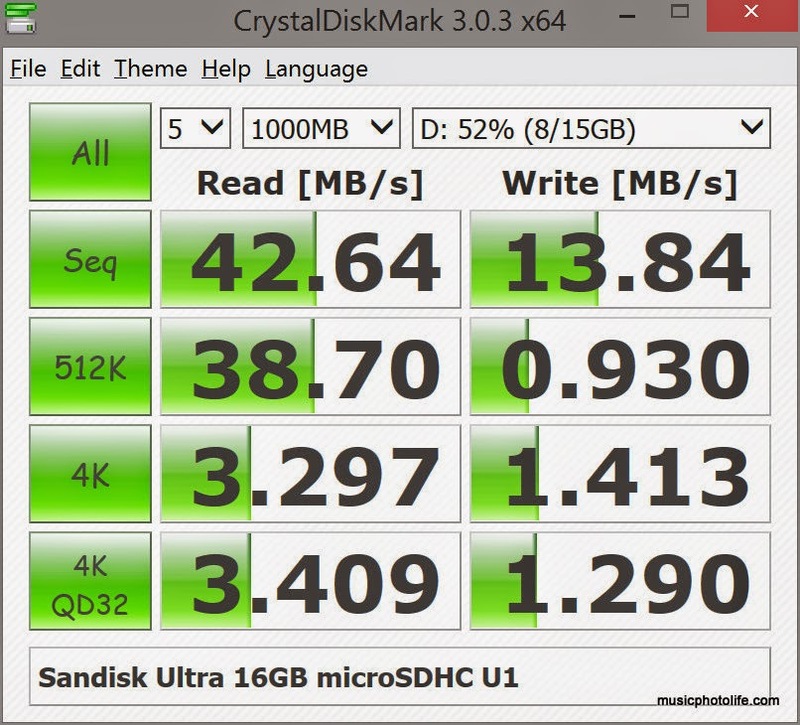 I tested the Strontium with my fastest SD card and did an unscientific comparison. Procedure: Shoots 15 RAW images (22MB) continuously, release shutter, clocks time that it takes the memory card to write and flush the buffer completely. Procedure: Shoots 16 RAW images (17MB) continuously, release shutter, clocks time that it takes the memory card to stop writing. Strontium Nitro Plus took 23 sec. Sandisk Extreme took 22 sec. Philips 16GB spent 31 sec. It appears that Nikon D600 makes use of the fast write speed to achieve improved speed over the slower cards, but the Samsung NX30 appears to be slightly worse off. Therefore, to enjoy maximum transfer speed, your hardware must also support the fast transfer speed. Make sure the card reader has the UHS-1 rating, which delivers up to 104MB/s. 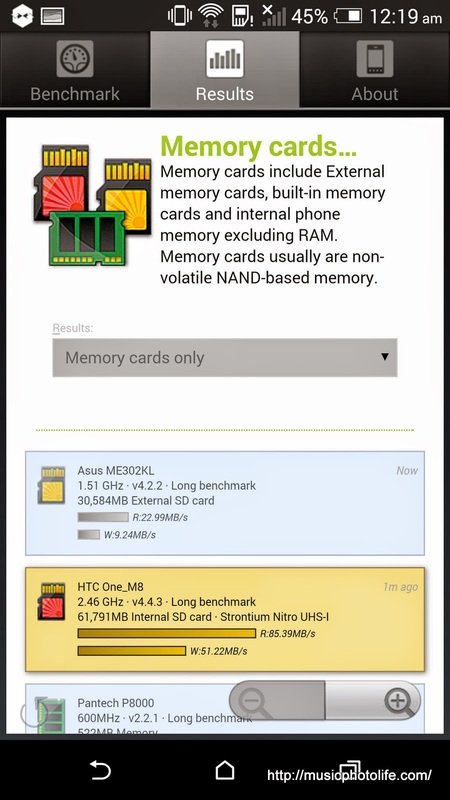 I also tested the Strontium card on the HTC One M8 using A1 SD Bench Android app and was pleased to find the Nitro Plus card reaches a high read speed of 85MB/s, while the write speed is a respectable 51MB/s. This only means that you can confidently use the external microSD card to store your media and apps and maintain the speed when accessing them on your smartphone. 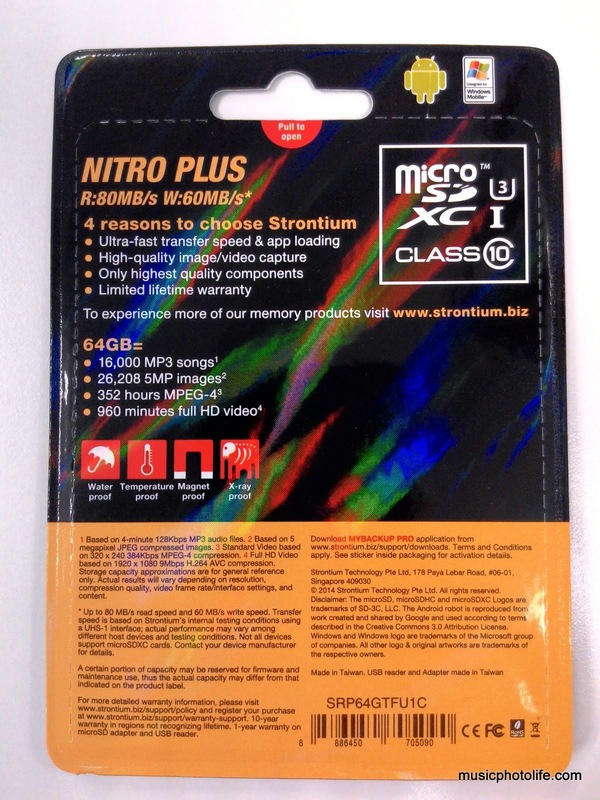 The Strontium Nitro Plus performs as it claims: it will deliver top read speed of 80MB/s (and beyond!) and write speed of 60MB/s when using devices that support the high speed. To top that, Strontium offers a lifetime warranty (or 10 years for countries that do not recognise lifetime warranty) and comes with a licensed version of MyBackup Pro Android app worth US$4.99. My independent review has confirmed that the Strontium Nitro Plus is capable of performing beyond the advertised speed. Currently selling in Singapore at a suggested price of S$139, purchase Nitro products to win some prizes. Visit www.strontium.biz/shop-and-win for full promotional details.